This case study is about editing marcoms (marketing communications) for PCC, which I’ve done as a regular sub-editor and proofreader since 2011. 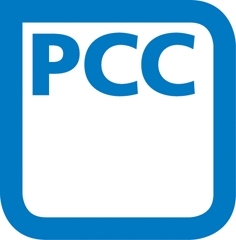 PCC is a community interest company that comes to me for best-practice subbing, editing and proofreading, particularly appreciating my knowledge of, and adherence to, its strict brand identity and style guidelines. I have edited and proofread biographies, event guides, posters, leaflets, brochures, documents and many other communications.